A dental implant, usually made of titanium, is a small, screw-like cylinder that replaces the root portion of the missing tooth. It's placed in the bone of the jaw and serves as an anchor for the artificial replacement tooth. Dental implants can replace one or many teeth. They offer a permanent solution, eliminating the need for complete or removable partial dentures, and provide excellent support and stability. Implants restore your ability to chew properly and are very natural looking for a beautiful smile. 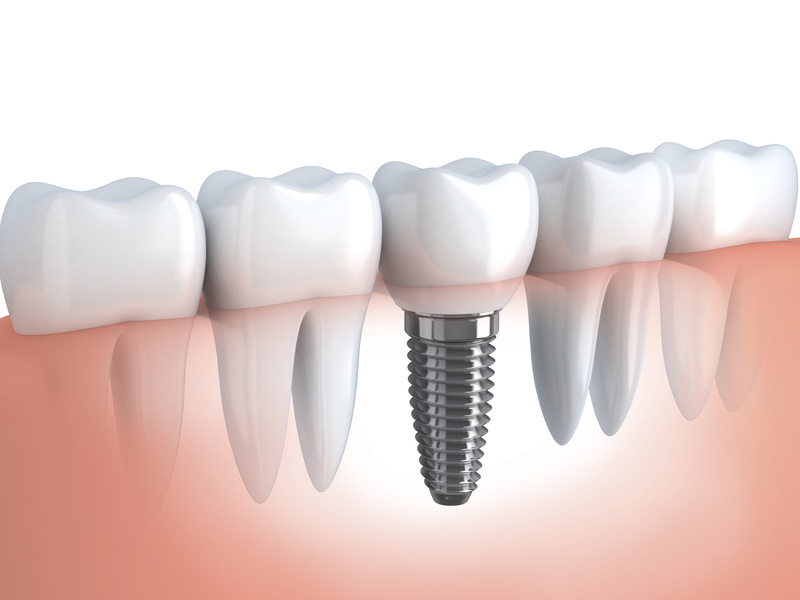 Dental implants are the most advanced tooth-replacement system. Dr. Rubiano excels at performing this procedure with the latest methods and materials. If you are interested in dental implants, it's a good idea to discuss it carefully with Dr. Rubiano first. If you are in good general health this treatment may be an option for you. In fact, your health is more of a factor than your age. You may be medically evaluated by a physician before any implant surgery is scheduled. Chronic illnesses, such as uncontrolled diabetes or leukemia, may interfere with healing after surgery. Patients with these issues may not be good candidates for implants. Using tobacco can also slow healing.